AL-KO Tractors offer improved levels of ergonomics and user comfort, providing value for money entry level garden tractors with proven european build quality. This is the most powerful Edition Tractor with a 20hp V-Twin engine. 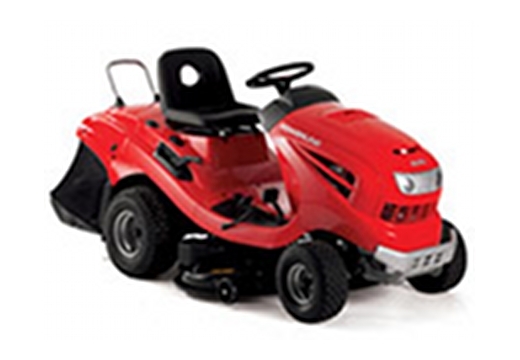 The 20-102 Edition Garden Tractor features a powerful 16hp V-Twin Briggs & Stratton engine, powering a twin blade 102cm cutter deck. Drive is provided by a smooth hand controlled hydrostatic transmission. The 300L box efficiently collects grass clippings and is easily tipped with gas strut assistance. Comfort features for the new model include a more comfortable high back seat, and robust steel front bumper to protect the tractor from collision damage.